Neva King Cooper just recently underwent renovations to its facility as a result of Americans with Disabilities Act (A.D.A.) requirement(s). Consequently, the school is designed with “safety” as it’s focal point. Automatic doors, wheelchair ramps, guard rails, proper door-widths for wheelchairs, as well as an extremely hygienic environment are just a few of the school’s features. The staff of Neva King Cooper Educational Center is comprised of teachers, paraprofessionals, a social worker, physical/occupational therapists, staffing specialist, program specialist, clerical staff, food service staff, custodial staff, a reading coach, an assistant principal, and a principal. Contracted nursing and respiratory therapy services are provided to students who require this assistance to access their educational needs as documented on the IEP. All instructional staff are state certified. Forty-two percent of instructional staff have advanced degrees. The enrollment at Neva King Cooper reflects the rich cultural diversity of Miami-Dade County where many of the students are foreign born with roots in South America, Central America, and the Caribbean. The student population is approximately 53% Hispanic, 28% Black, 14% White, non-Hispanic, and 5% Asian. 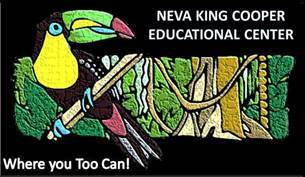 Neva King Cooper Educational Center student enrollment is based on the child’s individual needs as per their Individual Education Plan serving those students with the most severe challenges and assisting them to reach their maximum potential.